At LIGNA 2017 in Hannover, Austrian company Herz Energietechnik GmbH will be exhibiting the pelletstar CONDENSATION with over 106 percent efficiency. This pellet boiler with condensing technology is just as sustainable as it is efficient. Herz, a one-stop shop for renewable energy systems, will be telling visitors to Hannover all about its ultramodern pellet and wood chip plants ranging from 4 kW to 1,500 kW (or even 4,500 kW with cascade switching), its wood gasification boilers up to 40 kW and its heat pumps up to 200 kW. 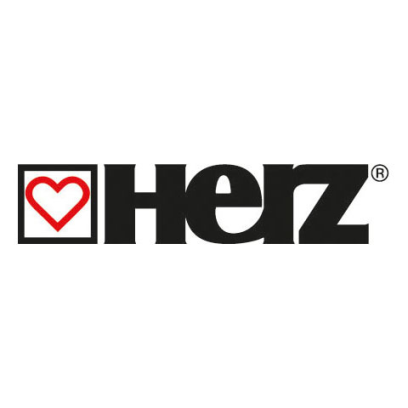 Other items in the Herz portfolio include buffer and hot water tanks. Following a period of intensive development work, the first Herz pellet boiler with condenser technology is now making its debut at LIGNA 2017. Thanks to premium combustion technology and high-quality system components, the pelletstar CONDENSATION will live up to the Herz motto by boosting efficiency and reducing emissions. The steam contained in the flue gas is cooled sufficiently to produce the liquid condensate. This liquefaction releases heat that is used for heating purposes, which will result in efficiency levels of over 106 percent. Herz sees the extremely compact system as an ideal solution for new buildings and modernizations, all the more since heat can be distributed using either a low-temperature system (underfloor heating) or a high-temperature system (radiators). What's more, depending on the requirements, the pelletstar CONDENSATION will even be able to deliver the correct temperature without a buffer tank. In addition to outputs of 10, 12, 14 and 16 kW, which are standard for compact systems, the Herz pelletstar CONDENSATION will also be available for 30 kW output requirements.